We strongly believe in the importance of art in developing our children. 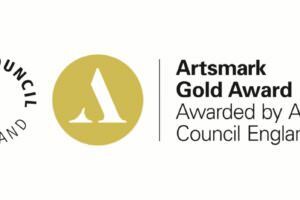 As a result of our passion and commitment to Art, we are currently a Gold Standard Artsmark school. At Denbigh is taught in several ways. 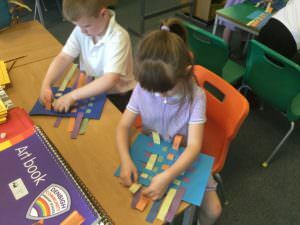 We teach art through designated art weeks which are undertaken termly. Staff teach children a range of skills based on different strands of Art each term. The skills are progressive across the age range of the children. In Foundation Stage learning objectives are taken from the Early Years Outcomes, usually from the strand of Expressive Arts and Design. Staff use the objectives they feel the children will need to cover to develop their key skills until they reach the Early Learning Goal. This is done through continuous provision and through targeted teaching based around a theme or topic. At Denbigh we use a variety of teaching and learning styles in order to develop children’s knowledge, skills and understanding. All teaching ensures full coverage of the themes of colour, texture, tone, form, space, line, shape and pattern. We provide children with opportunities to experiment with and explore a wide range of media and tools in order to make discoveries for themselves. We provide guidance through specific teaching of a range of techniques and use of tools as is appropriate to the stage of development and individual needs.